Our thoughts and words eventually create our reality. Mahatma Gandhi once said, “Your beliefs become your thoughts, your thoughts become your words, your words become your actions, your actions become your habits, your habits become your values, your values become your destiny.” Oh, the power of our words! Each one of us would be very wise to carefully and mindfully create the phrases we repeat to ourselves daily. Choose a few (or all) of the above affirmations and put them to the test: use them several times daily over the rest of the summer and see what is different by Fall. What we plant in our minds becomes a magnet that attracts whatever takes root there. It bears fruit and becomes our reality. What might not feel “true” for us today will feel comfortable in the weeks and months ahead. Choose wisely what grows in your mind, as these affirmations will indeed blossom into your new truth. At a family reunion years ago, we played the game “What if?” To play, everyone sits in a circle and writes down a question that starts with the phrase, “What if?” It can be any kind of question, whether it is serious or silly. The questions are then gathered and redistributed randomly to another person. Once everyone has a question that they didn’t write, they answer it however they want, again being serious or silly. For the last part of the game, everyone goes around the circle and reads their cards, with one catch: they read the question only, and the person next to them reads only the answer written on their paper. This provides mis-matched answers, which is the point of the game – usually hearing a question with the wrong answer is pretty funny, either because it makes absolutely no sense, or because it’s surprisingly true. Questions in a game like this can be goofy, but well-asked questions in the game of life can be powerful – a game-changer, if you will. They can help us see, feel, think, and do things differently. Do you want better relationships? Ask better questions. Do you want a great life? Ask great questions. What if such and such were the case instead of how it is? Suspend reality for a brief moment by turning the whole situation upside down. See what new ideas present themselves. What if the situation were reversed? What if Dad had a terminal illness rather than Mom? How would that change things for you? What if the timing were different? What if this was happening five years from now? Would that make any difference? What if your actions were different? What would happen if you confided in someone instead of keeping it all inside? Would that help? As you apply these questions, is there anything that invites you to think or act differently? One quality question really can make a difference. I invite you to ask yourself one “What if” question this week, be it silly or serious, as long as it encourages you to look at your troubles in a new light. Great questions will challenge your perception, and invoke the winning answers that can change your life! It is only with the heart that one can see rightly. What is essential is invisible to the eye. Do you ever feel like you’re overthinking things, or that your brain keeps repeating the same things over and over? We all get stuck in our thoughts from time to time, usually because we tell ourselves that our answers are in the brain. But when it comes to healing and happiness, it’s one’s heart that generally has the answer. The sooner you can free your thoughts, the better you will feel. Participants were each seated before a computer, on which flashed randomly selected images. The images, spaced 6 seconds apart, ranged from beautiful and serene to frightening and gruesome. Each participant was connected to equipment that monitored heartbeat, brainwave patterns, skin conductivity, nervous system and organ function. The participants’ only job was to watch the images. When the session was over, researchers found that each participant’s heart responded seconds before their brains did. In fact, the heart was the first part of their physiology to react to the stimulus. Sometimes the heart reacted a full 6 seconds before a new image was shown! Their conclusion: The heart appears to know what is coming – it displayed what is called ‘precognition’. Studies such as this one may help explain some of the common sayings we hear about our emotions – “listen to your heart”, “follow your heart”, “it breaks my heart”. The heart is our center for love, forgiveness, and compassion. It can also know what is best for us as we make decisions about our personal growth and healing. There is a two-way street of information running between your brain and your heart – this information travels not only from brain to heart, but from heart to brain. For this reason we need to use the heart and mind together when making important decisions. Usually, however, we get stuck in our thoughts and ignore what the heart knows. Our bodies will actually bring this imbalance to our attention, and if we are paying attention we might notice a sore or scratchy throat. To tune in to the heart’s knowing, focus on your heart as you ask yourself ‘yes’ or ‘no’ questions. You might even put your hand on your heart as you practice listening to this amazing center of wisdom. Wait for an answer, but try to listen to your heart and not your brain. Your heart has a different style of communication than your brain, so you might get an expansion or warmth in your heart area. It can be a constriction or even a slight pain in your heart. You may even intuitively “see” the right answer when closing your eyes while asking the question. Or maybe you can even “hear” the answer. Whichever it is, pay attention. This simple but powerful practice may help you over time to establish a new-found sense of inner knowing and guidance. Your body is here to help, and when you learn to listen to its inner wisdom, you will be moving toward a wonderful place of health and well-being. In the last edition I wrote about writing to heal the body. In this second of three articles, I will address how journaling your concerns can de-stress your life and mind. Gratitude Journal. Write just 3 things every day for which you are grateful. It doesn’t matter if it’s a big or small thing, the requirement is that it’s sincere. Think of the “small” things for a minute: when was the last time you felt grateful for clean drinking water? Unless you’ve spent time in a third-world country, or been a victim of a natural disaster, you’ve likely taken this for granted. Sincere gratitude expressed daily will open your eyes to all that’s right and good around you. Over time, it will become your habit to look for the silver lining in every cloud you encounter. Not only will it improve your outlook and your mood, it will boost your body’s overall ability to manage stress, which will result in a healthier, happier you. Free Writing. This is when you just put pen to paper and write. Don’t think, don’t punctuate, just write. Fill a page, then read over (hopefully it’s legible enough) what you wrote. You will likely be surprised at what came out on your paper. Many times there are deep frustrations, false beliefs, and anger that you’ve had festering inside on a subconscious level. Any time you write a thought, you bring out the intangible and make it real. Once it is real, you can process it, and when you’re done with the negative, you can throw it away. It is so empowering to be able to “toss” your worries away! “Reality Check” Writing. A friend and mentor taught me this technique, and I use it often. This one can take a while, so make sure you’re good and comfortable, with plenty of time before you begin. Take out a piece of paper and list everything that is bugging you. Number the items, and detail exactly why you are irritated with each situation. Make sure you’ve written until you feel that everything is out. When you are finished, take out a fresh paper. On this list, you will address each item of irritation, and you will answer it with Truth. To do this, you will look at each item without the distortion of emotion – you will take a step back from the situation you’ve written about – and you will look at the bigger picture. As you do this you will notice that there is a different way to see your problems, and you will feel a shift as you do so. You’ll see the good through the bad, and you’ll recognize growth and learning in your troubles and stresses. This exercise is perfectly effective, as it broadens your mind to infinite possibilities. Tame your negative thoughts with Truth! One interesting side-note about journaling: it matters that you use a pen/pencil and paper. You won’t get quite the same result if you type your feelings, as there is something healing about creating letters with your own hand. Try expressing feelings on paper and see if it doesn’t cool your brain, slow your breathing, clear your thoughts, and deepen your sleep. What better gift could you give yourself than the gift of a calm, balanced, and relaxed mind? In my energy healing practice, my clients often require some “homework” in order to heal. I give out many different types of homework, according to a client’s needs, but by far the most common kind of homework is writing assignments. There are many different ways of writing to heal body, mind, and spirit. 3) and writing to make dreams a reality. Future articles will address de-stressing and making dreams a reality, but this article will focus on writing to heal the body. There is increasing evidence to support the notion that journaling has a positive impact on physical well-being. Psychologists James Pennebaker, PhD at University of Texas at Austin, and Joshua Smyth, PhD at Syracuse University, contend that regular journaling strengthens immune cells. Other research from Pennebaker and colleague Roger Booth, PhD, indicates that writing decreases the symptoms of asthma and rheumatoid arthritis, as well as a stronger antibody response to the Hepatitis B vaccine. Researchers have also concluded that journaling reduces blood pressure, and improves lung and liver function, among other things (Journal of Consulting and Clinical Psychology). Research further suggests that to tap into writing’s healing power, one must gain learning and understanding of their emotions. In other words – don’t just complain in your writing, learn from your feelings and reactions to your problems. Do I feel supported at work and at home? Do I manage my time well? Do I feel like I can never get caught up? Do I know what to do next? Does my significant other ‘have my back’? As you ponder on your emotions, write them down, paying attention to what “comes out” as you write. Many times deep subconscious fears will come out when you pen your emotions. This is exactly what you want. As you write these things down, try to gain some understanding of why you feel the way you do, seeing things from another perspective, and creating possible solutions to these dilemmas. Expressing gratitude on paper is also quite valuable in helping your body heal. Carolyn Cooper, founder and CEO of SimplyHealed ™, once shared an experience she had with chronic shoulder pain that cleared up when she implemented a gratitude journal. She had gone to a doctor for her pain, and was told that surgery would be required for it to heal. She didn’t want to have surgery unless it was absolutely necessary. So for the next three weeks, she listed three things each day that she felt a sincere gratitude regarding her shoulder – how over the years she was able to hold and carry around her babies, how she was able to teach fitness classes through much of her adult life, etc. At the end of three weeks, not only was her shoulder pain gone, but the doctor reported that she didn’t need surgery! That is powerful! Reflection is important. Give yourself the healing gift of writing assignments that encourage you to give words to your conundrums, your frustrations, your grief. Put it to paper as you consider the possibilities and potential for growth. Thank your body for the many things it does for you every day. Do this for 30 days and watch what happens in your mind and with your health. We lost our peach tree. It was a beautiful tree with wonderful fruit that we enjoyed for almost 16 years. We realized too late that our tree was destroyed by parasites that burrowed into and fed off of the bark and roots of the tree. We thought we had nurtured our tree adequately, as we kept it pruned, sprayed, and fertilized. But we hadn’t been aggressive enough in cutting off dead limbs, which resulted in the entire tree being overtaken. Negative Thoughts/Actions: Take note of your negative thoughts without believing them, then consciously replace them with something helpful. Always ask: “Is it true? Helpful? Will it help me be my best self? Will it encourage others to thrive?” If not, get rid of it. Only entertain the thoughts that empower, build, and inspire. Victim Energy: This oftentimes takes much effort to overcome, but when you do, your whole life will change. It’s really just making the decision to take responsibility for the direction of your life, instead of being acted upon. You are in charge of your own happiness – no one else should be allowed that kind of power over you. You are only as happy as you decide to be, regardless of the circumstances. Holding Grudges: This really just takes too much energy, and it’s energy wasted. If you find yourself in this mindset, please realize it starts with self. Reflect on your life with forgiveness for all the times you didn’t live up to your own expectations. Learn the lessons from past mistakes with gratitude and move on. As you master this, you will notice that you will more naturally radiate that forgiveness to others. No one is perfect, and many times people are trying their best. Make it a point to see the goodness in yourself and others. Put the heaviness of blame down, and notice how instantly “light” and free you feel. Anger/Bitterness/Resentment: We all feel angry at times and that is normal. It’s when we hang onto that anger that it festers within us and makes a home there. The next time you feel mad, acknowledge what you feel and why – this validates what you are feeling. Then process the feeling by setting healthy boundaries for yourself while working toward a positive outcome. This will look different with each scenario you face, but always remember to aim for a good solution, while also visualizing the better person you will be on the other side of the conflict. In the garden of life, I’m sure there are many other things that can eat away at our happiness and peace of mind. But if we will make the effort to weed out the above unnecessary parasites of human nature, we will allow ourselves to bloom in our unique splendor and brilliance. 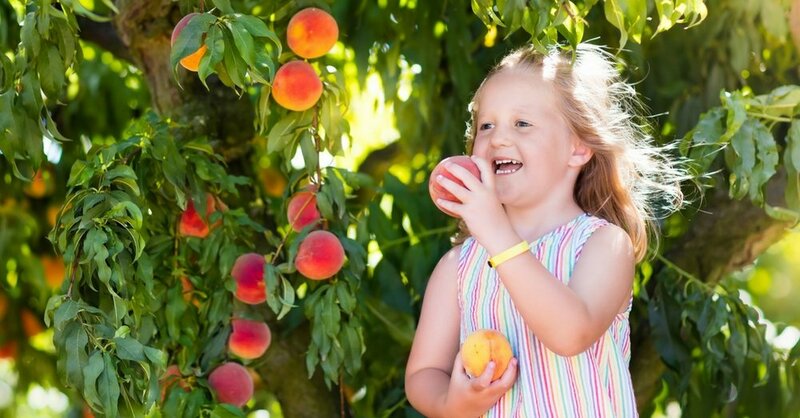 Learn the lessons from my peach tree – if something within you is destroying your well-being, take it out, discard it, replace it with something good and let yourself grow into your full stature. The power of flowers reaches much further than expressing love and wishing each other well. Flowers have been a source of our planet’s most powerful medicines and healing remedies. 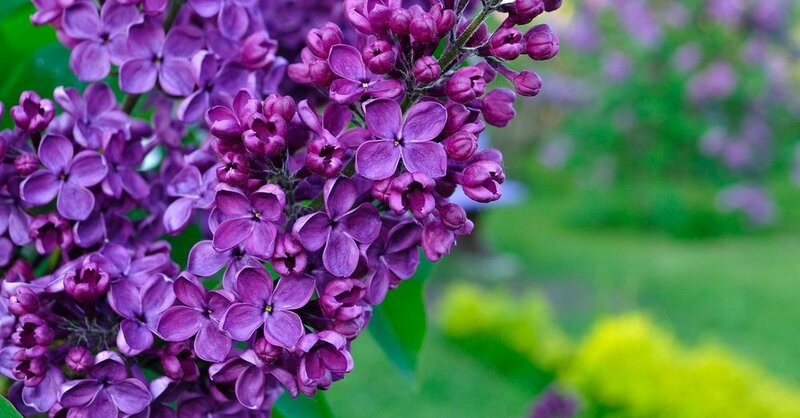 According to behavioral research conducted at Rutgers, flowers are shown to improve emotional health. I am often asked by my clients to help them maintain the feelings of clarity and light-heartedness that result from an energy healing session. I usually respond by giving them some “homework” (according to their needs). Some examples: keep a gratitude journal, perform small acts of kindness, make time each day for reading, etc. Or maybe just go outside and enjoy flowers and sunshine. These simple yet effective habits keep them renewed, hopeful, and recharged. This concept of self-renewal was first presented to me years ago while working in the banking industry. A motivational speaker came to provide a leadership seminar, and instructed us to close our eyes and imagine that each of us was a beautiful reservoir. He helped us envision ourselves giving water to those in need, giving to the point that we ran dry. Once we were depleted, there was nothing left to give. He then explained that in order for us to keep giving, just like the reservoir, we must be replenished. We accomplish this by doing the things that recharge and renew our energy. This exercise in imagery had a lasting effect on me, and I often refer to it when I feel overwhelmed or frustrated. Just as a chair needs all four legs to remain stable and useful, we too have four components we must maintain for balance: Brain, Body, Heart, Spirit. That’s four different areas we need to care for so we can function at our highest level, serve others, and enjoy this journey of life. This is where we have the capacity to imagine, invent, learn, and reason. It’s obvious why we need to keep this part of ourselves sharp and refreshed. One of my favorite comic strips, created by The Far Side’s Gary Larson, portrays a picture of a dog balancing on his hind legs on a tightrope. In his mind he is thinking: “Oh no, I am an old dog, and this is a new trick.” Unlike the dog in the comic, we are never too old to learn, whether it occurs in a college class, a ceramics shop, or the local library. Sometimes we need “new tricks”, creative ideas, or fresh perspectives. Keeping the body renewed is probably the one with which we are most familiar. There are endless studies proving the importance of exercise, adequate rest, and proper nutrition. Even just 20 minutes of walking can do wonders for the chemistry and balance to the body systems. Developing a consistent bedtime routine also strengthens the body’s natural rhythms, allowing the body to rejuvenate itself. And we all know the old saying about an apple a day keeping the doctor away. Our hearts are probably the most fragile parts of our being. This is where the effects of our closest relationships dwell, and sometimes that is painful. We renew our hearts by being kind, compassionate, giving and receiving love, and by extending forgiveness – whether it’s to ourselves, or our loved-ones. We refrain from harsh judgments and backbiting, and we commit to keeping the promises we make. Last, but not least, we replenish our spirits. Read an inspirational book, say a prayer, write in a journal. Perform small acts of service -- hold the door open for someone, give a sincere compliment, or let the person behind you in the grocery line go ahead of you. It’s surprising how good these seemingly small deeds can feel, as the ripple effects of these acts encompass so many people. Another great way to recharge the battery of the soul is to go outside and walk barefoot in the grass or sand. This literal connection to earth is renewing in the following ways: it stimulates reflex points, decreases depression, and forces us to connect with nature all around. Just try it – it feels pretty good. Also, incorporate sitting down for five minutes a day to just breathe. Let the mind go, and focus on slow, full, even breaths. This reduces stress and anxiety, and is rejuvenating to body and spirit. Life throws many curveballs, and you need to take care of yourself so you can care for others. Make sure that all four legs of your life chair are strong, sturdy, and balanced. Your homework for the day – say something nice to your neighbor, kiss your sweetheart, forgive yourself and your friends for not being perfect, then go outside barefoot and smell the flowers. Have you been to a family reunion before? Where we celebrate Grandpa’s 80th birthday, or listen to stories about how Great-Grandma fell off the buckboard while her brothers laughed. These traditional gatherings are also where we notice certain family traits that are shared among us – on my side of the family it’s the blonde hair, while those from the Atkin clan can be identified by their brilliant blue eyes. But did you know we also inherit emotional and mental traits – certain behaviors and characteristics that have been handed down from one generation to the next? For example, you may have the same mild temperament as Uncle Joe, or share a similar ability with Aunt Bea to solve complicated calculus problems. While we enjoy inheriting these great qualities from our forebears, we also unfortunately get the bad with the good. Oftentimes issues such as addiction, abuse, depression, phobias, and money problems (just to name a few) also get passed down to us. You might be asking – “How can this be? How can something that an ancestor suffered from affect me 100 years or more later?” Well, there have been fascinating studies done for many years now on this intriguing topic, and the findings all concur that this indeed happens. In one study, neuroscientists at Emory University taught male mice to fear the smell of cherry blossoms by associating the scent with mild shocks to the foot. The offspring of these mice were raised to adulthood having never been exposed to the smell. Yet when these full-grown critters were introduced to the scent for the first time, they became anxious and fearful. In fact, they were found to carry even more cherry blossom-detecting neurons in their noses and brains than the mice that were originally traumatized. The experiment found further that subsequent generations of mice carried this same fear. This is but one example of a single traumatic experience being transmitted across generations. In the work that I do, this phenomenon is referred to simply as “Generational” issues. 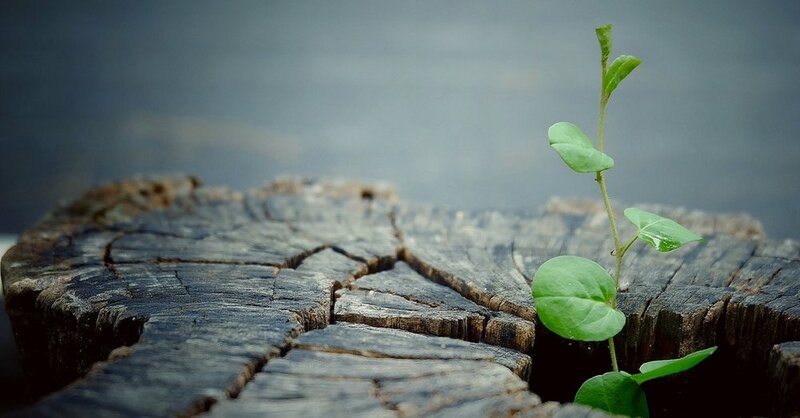 One way to identify this in your own life is to look closely at situations in which you feel stuck, even after you’ve worked hard to overcome obstacles and shortcomings. For example, if you’ve tried hard for years to accumulate a healthy nest egg only to find continuous financial distress, you likely have a generational money issue. You will probably find as you research your family history that this has been the case with parents, grandparents, greats, and so on. When you find these setbacks, take heart – they can be released and overcome. Not just for you, but for those in the family that carry the same trait. Carolyn Cooper, founder of SimplyHealed™, refers to this as “releasing energy patterns that are in the lineage”. Because this is such a game-changer for so many, generational clearing is a favorite among energy workers. I think of it as setting down the heavy baggage that our ancestors have inadvertently passed on that no longer has to be carried. What a relief! I hope your summer gatherings are peaceful, light-hearted, and fun. And if you find yourself being as nit-picky as Uncle Harold, give him and yourself a break – it probably started with Great-Grandma Pearl. When I was a kid, one of my favorite TV shows was a Variety show called “HeeHaw” (tells you how old I am). There was a segment on this show performed by Buck Owens and Roy Clark, where they harmonized a song that went like this: “…..if it weren’t for bad luck, I’d have no luck at all. Gloom, despair, and agony on me” Funny segment, totally depressing dialog. Those of you old enough to remember this are humming the tune to this right now. Do you ever find yourself thinking these kinds of thoughts? That your kind of "luck" is bad luck? Do you expect the worst? Are you always sick? If so, you may be living in "victim energy". As long as you are entertaining this way of thinking, you will actually experience the bad outcomes of which you are fearful. This may sound strange, but it’s very true – the mind/body connection is real and powerful. We all experience negativity and doubt from time to time, but it is very empowering when we can recognize this, overcome it, and live in the high energy that will attract those greater things we want. Visualize yourself being successful -- what does that look like? What are you doing differently? How does that feel? Did I miss anything? If so, please add your own suggestions. By incorporating just one of these actions, you will enact a positive ripple effect, which will lift and empower you. You will be healthier, happier, and more successful in all your pursuits. It’s too late for Buck Owens and Roy Clark to give us some better advice, but maybe the good folks from “Duck Dynasty” can come up with some uplifting words to live by. In the meantime: Good "luck" -- you can do it! Have you ever dreamed you were being chased, only to find that you were running ineffectively in slow motion? Or that you were taking a test that you weren’t prepared for? Dreams seem to be a strange phenomenon that happen randomly and without reason – or do they? People have pondered the meaning of dreams for centuries. A source of inspiration, guidance, prediction, and problem-solving, dreams are a common experience to us all. We’ve heard the expression, “I’ll sleep on it” when someone is making an important decision. By tuning in to our dreams, we can glean wisdom from our subconscious mind that is alerting us to helpful solutions. A house: You. A house falling down could warn that you need to take better care of yourself. A large house could indicate great potential and awareness of opportunities. Any vehicle: Also the self, but more specifically your mode of traveling in your daily life. An airplane is your spiritual “plane”, while a motorcycle or bicycle means you need more balance in your life. Teeth falling out: signals that you need a boost of self-confidence. Once you become comfortable with the meaning of various symbols in your dreams, you can then use this knowledge to make yourself happier and boost your problem-solving skills. Realize that everything in the dream is you. People in your dream usually represent personality traits within yourself that you’ve projected onto them. Deliberately program your dreams for answers. Before going to sleep, take a few deep breaths, relax, and bring the problem to mind. Then tell yourself that you will dream the solution, and that you will remember it when you awake. Again, remember to write down the dream and every detail you can remember immediately upon awakening. Your dreams help you look at the thought patterns that are governing your life. So the next time you dream about being chased, know that you are avoiding looking at a problem. You are putting yourself through unnecessary anguish and pain. Remember to turn around and confront whatever aspect of self is chasing you, make peace with it, and know that the answer will come and the drama will end. Sweet dreams. Another new year…another fresh start. As we make our New Years Resolutions each year, we usually make a list of things we are going to change. Most of us want a lot of the same things: health, financial freedom, happy relationships, and fulfillment in life. We all want a sense of purpose – a life purpose. Something that’s personal and empowering. So how do we go about finding our life’s purpose? First, let’s gain some understanding about the origin of making New Years Resolutions, and how it can help us as we move into a new year. 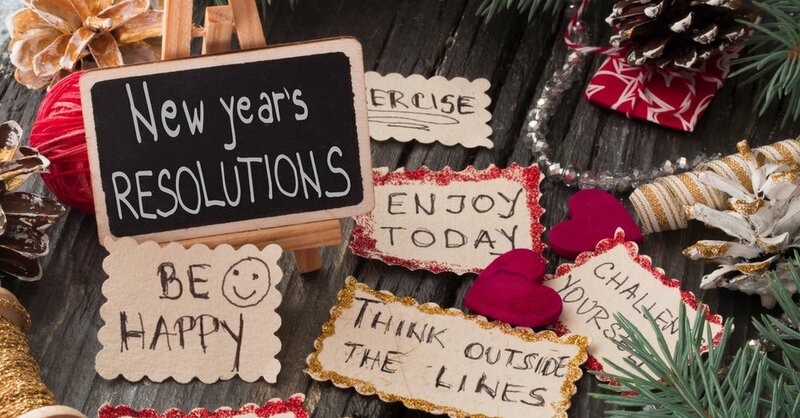 The tradition of New Year's Resolutions goes all the way back to 153 B.C. Janus, a mythical king of early Rome was placed at the head of the calendar. With two faces, Janus could look back on past events and forward to the future. Janus became the ancient symbol for resolutions and many Romans looked for forgiveness from their enemies before the beginning of each year. So our first step then is to look at the past year and learn all that we can from our experiences. What did we do right? What did we do wrong? What didn’t work, and what did? Experience is a powerful teacher, so let’s use it for our highest good. Who do I want to help? What will be the result – what value will I create? What are your natural talents? What comes easy to you? What were some challenges, difficulties, and hardships you’ve overcome? How did you do it? What activities make you lose track of time? What do people typically seek your advice about? Need your help with? What are your deepest values? 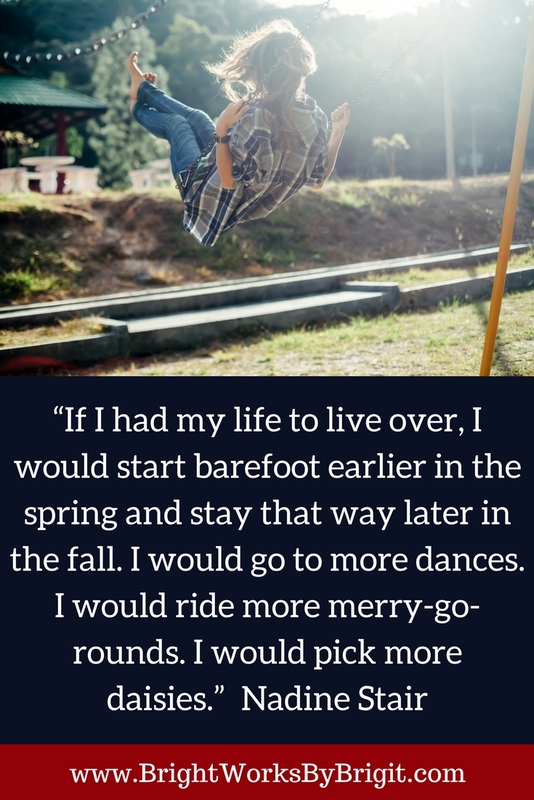 You are now 90 years old, looking back happily on your successful life – what mattered to you most? This exercise should take some time, but will pay off abundantly as you align your goals accordingly. Once our Personal Mission Statement is created, goal-setting becomes easy, as we now understand our unique focus. As D.M. Dellinger said, “You are unrepeatable. There is a magic about you that is all your own…. “ As this new year starts, let us first reflect on the experiences of the past; contemplate our interests, talents, and strengths - then move forward with the confidence of someone who knows their life purpose. What the Heck Is Energy Work? Many have heard the term “energy work”, but because it is unfamiliar to them have feelings of apprehension about it. And to others, this may be a new term. I find that people are somewhat leery of things they don’t quite understand (myself included), so I’d like to shed some light on this subject so that it makes more sense. Before we get into the specifics of energy work, let’s define energy itself. Energy is the capacity of a physical system to perform work. Energy exists all around and within us in several forms such as heat, kinetic or mechanical energy, light, potential energy, electrical, or other forms. 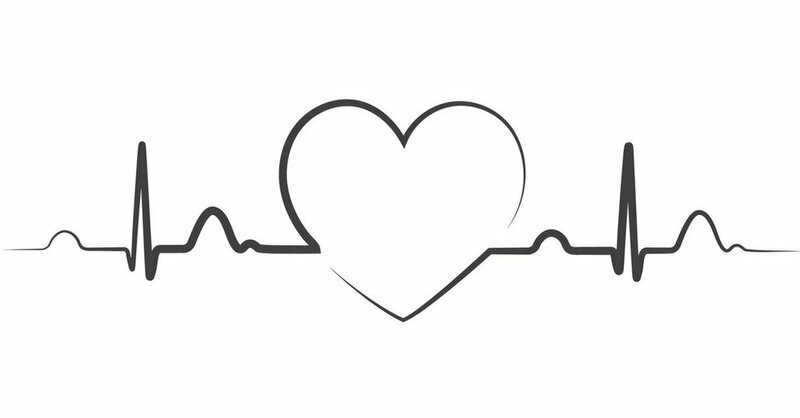 Because our bodies have an electrical system, defibrillators are used to restart the heart after a heart attack. We also have an electromagnetic system, which allows all kinds of communications to occur within and without the body. This is the system that is used when muscle testing (also known as kinesiology) to find blocks or weaknesses within the body. A polygraph test also uses this system and can be compared to muscle testing, as it is used to measure the body’s subconscious response to a true or false question. OK now onto the good stuff – what is energy work, and what does it do? I realize as I write this that because there are so many methods out there (probably too many to mention) I better stick with what I know – the SimplyHealed Method®. This modality uses kinesiology to find blocks, glitches, doubts, even generational issues (traits that run in a family – addictions, abuse, etc) within a person’s being. Oftentimes this is happening subconsciously, so the person is aware only of the effects of these blocks, in whichever way they manifest in the mind or body –illness, anxiety, depression, etc. Once all these are found they are cleared. Carolyn Cooper, the founder of SimplyHealed™, uses a great analogy to explain how this works: Think of yourself as a biocomputer. As such, you store information, some of which is not serving you well – old programs, viruses, false information, etc. Just like a computer gets slow and tired over time, so do you! Especially when you are hanging onto hurtful things from the past. These things fester over time and become something much bigger and more complicated. So just like you would call a computer expert to come clean up your hard drive and software, an energy work practitioner would clean out the old programs you are holding onto. With all the debris gone, the mind, body, and soul are now able to heal and function as they were designed to – and you are well on your way to being your best self! I’ll share an example of how clearing emotional issues can affect the physical body. I once had the privilege of working with a client who was visiting from the Salt Lake area. We worked on many things during the session, and when we were finished he commented on how good his back felt. He never mentioned back pain to me before, and indicated that he had experienced the pain for so long that he didn’t think about it, and didn’t bother treating it – it was just a part of him. Anyway, he left my office, went to a movie with a friend, then drove the five hours to his home. When he finally got there late that night, he called to let me know that his back still felt great. He had energy, and felt like he could do anything – he had forgotten how it felt to not have that pain. So something that we cleared for his emotional well-being also helped him physically. It’s amazing how capable the body is to heal itself when its blocks are out of the way! How do you feel lately? Do you have a lot on your mind – heavy work schedule, kids involved in too many activities? Life has many stressors, which oftentimes brings aches and pains, fatigue, and illness to the body. But before you go and take a pill to alleviate your discomforts, think about this: your body is an incredible machine that is trying to communicate with you. At first it will whisper, then as you ignore it, it will speak louder and louder until it finally shouts. It wants your attention so you can address its underlying issues. So pause for a moment and tune in to these messages your amazing body is sending you. Are you trying to make a big decision, and you notice a sore throat? Your body may be telling you that you’re not using both your head and your heart. The neck is what connects these two important organs, so use both your intellect and your feelings for a satisfying solution. Also, throat represents your “voice”. Maybe it’s time to speak up about something. Do you have chronic shoulder pain? If it’s your left side, perhaps there are family issues that need your attention. You right side signals financial stress. Do you see a chiropractor about regular low back pain (sacroiliac sprains)? Your body possibly wants you to reexamine your circumstances – is this really the right job for you? Are you forcing yourself into a situation where you really don’t belong? I once heard about a woman who was rushed to the ER for a heart attack. After being examined and tested for treatment, it was determined that there was no heart attack. The perplexed doctors did not know what to make of it – she had every symptom, but no medical trace of this event. It was later learned that this woman’s daughter had died recently, and this woman was (literally) broken-hearted. There is actually a pretty accurate name for this condition – “broken heart syndrome”. Just another way that the body mirrors the underlying emotions. So the next time you get a headache, or you feel muscle tension in the body, reflect on the things that are going on in your life. Take a minute to understand what your body is telling you. The more you learn to pay attention to these important signals, the more empowered you will be to correct them. How does that make you feel? Are You Tired of Being Perfect? Time to Lighten Up! Do you ever feel inadequate? Is your best effort never good enough? Do you sometimes feel a need to pretend to be someone you’re not so you can fit in? If so, you may be somewhat of a perfectionist. Perfectionism is defined as a personality trait characterized by a person’s striving for flawlessness and setting excessively high performance standards, accompanied by overly critical self-evaluations and concerns regarding others’ opinions. Of course, this is unrealistic, and often ends in depression and feelings of low self-worth. Inner Critic – That nagging, negative self-talk that compels us to compare ourselves to others, demeans us, and consistently reminds us of how inadequate we are. Solution: First, realize you are not alone – everyone struggles (or has at one time) with this. The Inner Critic would have you believe you are the only one who feels this way -- that’s one big reason it is so effective. So, knowing this is true, talk back to it. OK maybe not out loud when you’re in public, but talk back nonetheless – until it stops. This takes practice, but over time you will train your mind to think more positively (and correctly) about yourself. Which brings us to the second thing you can do -open up your awareness to others. Look around. Do you really think you’re the only one being hard on yourself? Not by a long shot! Everyone else is struggling with something – guaranteed. So reach out to others with genuine compassion, knowing that they too are striving to keep up with what they believe comes easily to everyone else. Third, quit comparing yourself to others. When you do that, you are always pitting your weakness against another’s strength. Never a fair comparison. Outside Influences – For the sake of length I’m going to stick to women’s fashion magazines, since they are so pervasive. What message do they send? That as long as we are young, beautiful, skinny, rich, popular, etc we will be happy. The next time you’re in the grocery check-out line, pay attention to the women’s magazines, and their conflicting messages: Try our latest diet – guaranteed to take off 10 pounds in a week! Really? Of course, there’s an airbrushed model for you to see so you really get the picture. You’ll usually notice off to the side of the magazine cover there’s a chocolate cake with the recipe included inside. Hmm, is this for the reward after you’ve followed the diet and lost those 10 pounds in 7 days? Do you see how impossible all that is? Solution: Look at the bigger picture – see the truth behind the facade. These messages tell us to compare ourselves to others, feel bad about ourselves, then buy their products to make it all better – all for the purpose of the magazines making money off their advertising space. It has nothing to do with us, just our money. Whether our conflicts come from the Inner Critic or outside influences, the bottom line is fear – fear of rejection: People won’t like me if they know the real me. Fear of failure: If I don’t achieve the highest standards it is a reflection of my incompetence, and proof that I am incapable. Fear of not being accepted: If I say that, people will mock me – I won’t fit in. These fears are endless. They are destructive, completely false, and definitely keep us from being our true selves. The good news is that we can overcome! What’s going to happen if my project fails? What is one thing I can improve? What will I do differently next time? These questions empower us to take lessons where we can, and make realistic changes and improvements instead of beating ourselves up. We were put on this earth to be happy, joyful, productive, giving, kind, and to strive for doing our best while being our perfectly flawed selves. I heard a thought -provoking quote this week by a young mom trying to keep up with it all – “I’m a piece of work, and a work in progress.” Aren’t we all? So tell your Inner Critic to take a hike, put the fashion magazine down, and go talk to a friend – you’re more than enough, so lighten up! My youngest daughter is an Olympic weightlifter. She has competed nationally, and has trained with the US Olympic Team. In her first national competition, she was privileged to earn a Bronze metal. This girl, with all her physical strength, flawless technique, and dogged determination, has come to learn through all of her competitions, with their ensuing victories and defeats, that there is more to the achievement of her goals than the grueling hours of athletic training. She has realized that the mind, equally as strong and disciplined as her body, is paramount to her success as a lifter. Like my daughter, each of us needs a strong mind with which to successfully navigate our lives. Thankfully though, we don’t need to be semi-professional athletes to benefit from a fit mind. Whew! 1. Identify/Address limiting beliefs. We all have subconscious beliefs that hold us back. They are usually things like “I’m not smart enough”, or “people won’t like me if they get too close”. It’s not hard to see the connection between these false beliefs and the disappointments that are bound to follow. One way to find these beliefs is to write down all the reasons why you can’t get that job promotion, or find that right relationship. As you write, you’ll be surprised to see all the limitations under which you’ve been operating. When you find them, address them – challenge them. As you address false ideas with truth, you will see them dissolve. That’s a huge first step. 2. Circles of Concern. A wise person once taught this to me when I was wrestling with some challenges, and it has become a favorite to share with my clients. It goes like this: take a blank sheet of paper and draw a circle in the middle. It should be big enough in which to make a list. Then around that circle make a bigger one. 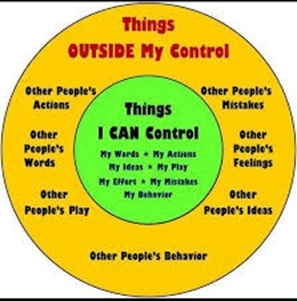 In the smaller circle list some things that YOU have control over: your actions, words, activities, etc. Then in the larger circle list things you have NO control over, but are concerned with: the actions of friends or loved-ones, broken economy, etc. This bigger circle contains the worries you turn over to a higher power. You give them to God. And then you let it go. Your focus is then only on the things listed in the smaller circle – the struggles within your realm of control. Now that your mental resources and your energy are directed in appropriate ways you’ll be more capable of conquering your challenges. 3. Ask quality questions. Instead of the same old “why me?”, ask yourself “What might make this better?” or “What kind of person will I be on the other side of this problem?” A quality question will change your perception of any challenge, keeping your mind sharp and healthy as it searches for a helpful solution. 4. Visualize the process. If you are required to make a speech and are overcome with fear, envision yourself confidently approaching the podium, successfully giving your well-prepared speech, walking back to your chair afterward, and enjoying the great feeling you have of delivering a fabulous address to a friendly and attentive audience. Seeing your way through something difficult before it happens is an effective way of telling your mind what you’d like to happen. It will bring a confident calm to your brain, since it will have a helpful pattern and direction to follow. There are many other ways to strengthen your mind, and I’m sure you have ideas and exercises that help you stay fit and healthy, both in your mind and in your body. Do a little something each day that stretches yourself in some way – take a class, try a new route home, taste a different food. Even the smallest of things can change your overall direction. In the words of CS Lewis, “What saves a man is to take a step. Then another step.” One of the most important things my daughter learned about successful weightlifting is the practice of mental exercise to go with the physical workout. It has served her well, as it will you and me in all our pursuits, whether we have Olympic dreams or are just trying to keep up with the daily challenges of life. My husband and I recently bought a ranch. One of the attractions of this ranch is its great fences. The previous owner was meticulous in creating sturdy and definitive boundary lines for the cattle and horses. Because of this, we can contain our livestock with confidence, and easily keep the animals where we need them. It allows us peace of mind that our animals and property are protected. Healthy relationships, just like a well-run ranch, require healthy boundaries. Learning to set healthy personal boundaries is necessary for maintaining a positive self-image. It is our way of communicating to others that we have self-respect, and will not allow others to define us. This is preserving our integrity, and taking control of our lives. In order to achieve this we must overcome passivity, identify our needs, and assertively take care of ourselves in relationships. This allows our true self to emerge, and protect us from being manipulated, used, or violated by others. Healthy boundaries become the fences that keep us safe. Boundaries can be physical, emotional, or mental. Physical boundaries define how close another may approach us, or who can touch us, and how. Emotional and mental boundaries define where our thoughts and feelings end and another’s begins. For example, are we able to say “no”? Are we compulsive people pleasers? Can we ask for what we need? Do we feel responsible for another’s feelings? Do we mimic the opinions of others? The answers to these questions help define the “property lines” of our boundaries. How are your boundaries? Do you feel they are good, healthy boundaries? Or do they have extremes -- so rigid that you’ve created a wall? Or maybe the opposite -- the lack of a boundary at all? Those who surround themselves with walls literally shut everyone out from their lives. They appear aloof and distant, and won’t talk about feelings or show emotions. They exhibit extreme self-sufficiency, and don’t ask for help. They also don’t allow people to get close to them physically or emotionally. They can be likened to a house surrounded by an immense wall with no gates – no one is allowed in. On the other hand, people without boundaries put their hands on strangers, and allow others to touch them inappropriately. They get too close to others too fast, take on others’ feelings as their own, give too much, take too much, and are in constant need of reassurance. They tend to say “yes” when they mean “no”, and feel responsible for everyone else’s problems. They often lead chaotic lives, full of drama, as if they lived in houses with no fences, gates, or even doors. In contrast to the above extremes is the healthy boundary, which is firm but flexible. People who create these kinds of boundaries are able to negotiate and compromise. They give and receive support. They are responsible for their own happiness and allow others the same responsibility. They have empathy for others, are able to make mistakes without damaging their self-esteem, and have an internal sense of personal identity. They live in houses with fences and gates that allow access only to those who respect their boundaries. If you notice yourself feeling anger or resentment, or find yourself whining or complaining, you probably need to set a boundary. There’s an old Chinese Proverb that says, “Everyone pushes a fallen fence”. Listen to yourself, and determine what you need to do or say. Then communicate your boundary assertively. When you are confident you can set healthy boundaries with others, you will lose the need to put up walls. Remember the ranch with its sturdy, protective fences – the animals are easily seen, free to roam, and comfortably protected. Setting healthy boundaries allows your true self to emerge – and what a happy-trails kind of journey that is. A fence should be horse high, hog tight, and bull strong. You are unrepeatable. There is a magic about you that is all your own. Ask yourself these 5 questions to determine your own Stamp on the world: 1) What are your natural talents -- what comes easy to you? 2) What were some challenges, difficulties, and hardships you've overcome, and how did you do it? 3) What activities make you lose track of time? 4) What do people typically seek your advice about, or need your help with? 5) What are your deepest values, your passions? Focus on the answers to the above questions, and watch your life change as you step into your own unique power! OK now onto the good stuff – what is energy work, and what does it do? I realize as I write this that because there are so many methods out there (probably too many to mention) I better stick with what I know – the SimplyHealed Method®. This modality uses kinesiology to find blocks, glitches, doubts, even generational issues (traits that run in a family – addictions, abuse, etc) within a person’s being. Oftentimes this is happening subconsciously, so the person is aware only of the effects of these blocks, in whichever way they manifest in the mind or body –illness, anxiety, depression, etc. Once all these are found they are cleared. Carolyn Cooper, the founder of SimplyHealed™, uses a great analogy to explain how this works: Think of yourself as a biocomputer. As such, you store information, some of which is not serving you well – old programs, viruses, false information, etc. Just like a computer gets slow and tired over time, so do you! Especially when you are hanging onto hurtful things from the past. These things fester over time and become something much bigger and more complicated. So just like you would call a computer expert to come clean up your hard drive and software, an energy work practitioner would clean out the old programs you are holding onto. With all the debris gone, the mind, body, and soul are now able to heal and function as they were designed to – and you are well on your way to being your best self! I’ll share an example of how clearing emotional issues can affect the physical body. I once had the privilege of working with a client who was visiting from the Salt Lake area. We worked on many things during the session, and when we were finished he commented on how good his back felt. He never mentioned back pain to me before, and indicated that he had experienced the pain for so long that he didn’t think about it, and didn’t bother treating it – it was just a part of him. Anyway, he left my office, went to a movie with a friend, then drove the five hours to his home. When he finally got there late that night, he called to let me know that his back still felt great. He had energy, and felt like he could do anything – he had forgotten how it felt to not have that pain. So something that we cleared for his emotional well-being also helped him physically. It’s amazing how capable the body is to heal itself when its blocks are out of the way!